The internet scenario changes every moment; and there are certain factors that make us believe how the table might just flip in 2015. Technology has been growing in an exponential rate over the very recent few years, and websites have gone through an evolution to be honest. 2013’s website trends turned out to be obsolete in 2014; and probably the same story is about to take place again. 2014 was all about background videos, interactive ads, grid layouts with flat designs which were minimalistic yet very effective and implementation of HTML5 APIs all over websites. Last year is already gone and the web developers need to act fast to get into the new website development stream. 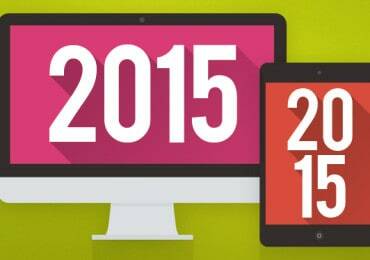 What could be the game changing website technologies and techniques in 2015? Here’s what we think. For the iPad Air 2 promotion, Apple has used a whole page wide picture as a background image. There are no other background graphics or design, the plain photo provides a very neat outlook but on the other hand, it spreads the promotional message very well. Very well job done by Apple; and this trend is going to stay for a while. On 2015, we are expecting to see this huge background photo trend. Google Now shows cards to the users’ devices in a miniature format, usually in a rectangular shape. Websites are not just viewed on computer screens these days, rather the major amount of traffic generates from hand held devices like smartphones and tablets. Card style implementation of websites would help websites reach more to people’s browsers. Thanks to Google and their Android OS, because the card style is going to make a difference in 2015. On smaller scale displays, the interaction between websites and humans has to be in a different way. Traditional communication methods still work, definitely but a better way would make the tradition fall slightly backwards. For a real life example, take a closer look at Apple Watch when it comes to the market for the mass. The Apple Watch is mostly based on a responsive design which is more suitable for smaller displays. Even cellphone displays aren’t much friendly for desktop websites, but a responsive design implementation can make things happen differently in 2015. People respect privacy. When you browse a website and notice that a relevant post shows up on your social media ad feed, no wonder you will not be happy. Because that literally means your cookie has been leaked to the social media and they are tricking your beliefs or thoughts; here goes your privacy. In 2015, people would be more conscious of their privacy on internet, than ever. Rise of cybercrimes and concerns has made people aware of what traces they leave behind on every website. Privacy has to be strictly maintained in 2015 to undergo a challenging win. Grid like designs has become utterly popular for the past few months. It seems like the design is here to stay for a long time, until another really big thing replaces grid design. Now, iteration of what already exists is very necessary on 2015. People may not be ready to take another big change yet, but they are ready to adapt to the designs that already exist. These sophisticated website layouts should be made more acceptable to people through some more generations of development. These are the intelligent type of design, and not being widely used yet. Depending on what data each user and their device sends, the websites would be rearranged and redesigned with relevant contents. Adaptive development is going on, and might take a little while to be fully usable. The websites need to be more divergent to suit on all sizes of display on 2015. Different types of developments are undergoing, and they are good enough to change the game. Relevant knowledge is the powerful toolbox every website owner should have right now, and they should start acting accordingly.